How can you tell if it is time to replace the clamp? We are not aware of any specific inspection criteria provided by Crosby, but here are some things to look out for. 1) Be sure the clamp is not damaged, deformed, twisted, cracked or otherwise in a degraded condition. 2) The two halves should mate together freely without intervention. 3) Verify the threads are in good shape and the nuts thread easily. 4) Check the saddle to ensure there are still grooves, which are required to help the clamp bite into the wire rope. More information (including proper instruction) can be had by watching the video on the item page, or by clicking on the PDF link in the Attachments tab. We cannot find specific inspection criteria from Crosby, but here are some things to look for. 1) Check for any damage including cracks, twisting, deep gouges, extreme corrosion, etc. 2) The two halves should mate together easily and freely without intervention. 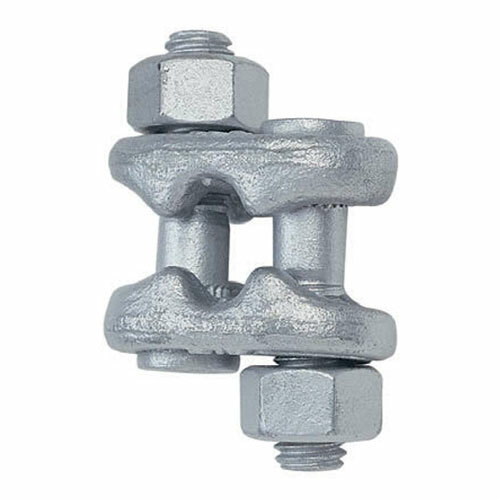 3) The nuts should thread onto the bolts cleanly--make sure the threads are in good shape. 4) The saddles should still have their grooves, as this texturing is important to help the clamps bite into the cable. While this is not an exhaustive list, it should help your overall inspection efforts. More data can be found on the item page by watching the video and/or viewing the PDF on the Attachments tab.